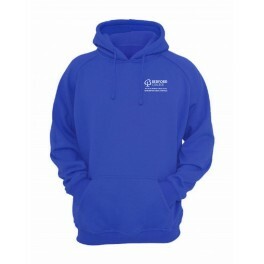 Uniformed Public Services Hoody with logo embroidered to left breast. Twin needle stitching detailing. Double fabric hood with self coloured cords. Kangaroo pouch pocket with small hidden opening for earphone cord feed. Ribbed cuffs and hem. Worldwide Responsible Accredited Production (WRAP) certified production. 56 great colours. Soft cotton faced fabric creates ideal printing surface.